From hard luck to hard science, this trilogy of thrillers will dim the holiday lights of the noir fanatic in your life. Much like the three wise men, we offer gifts of the gritty, the procedural and the other-worldly. If you’ve got someone on your shopping list who likes it fast and dirty, gift them this hard-boiled holiday treat. In the follow-up to Lion’s acclaimed debut, The Butcher’s Granddaughter, Bird is back and looking for redemption. Fans of the genre will love Lion’s furious pacing and tightly wound prose. The setting is interesting as well: 1993 Los Angeles (a wild time in the City of Angels). No cell phones. No Google. Just Bird the snitch playing both sides of the street and trying to find the missing daughter of a man murdered right before his eyes. The search is both exciting and existential. The strength of The Forgotten Addiction is Lion’s ability to create tight, gritty prose, but for all the textual skill, his characters are too familiar. Bird gives everyone a bad attitude, whether or not he’s provoked. Readers will recognize the upwardly mobile prostitute who is using her income to fund her education; the tough but noble bouncer who moonlights for Bird; the befuddled psychiatrist who is outwitted by the snitch. Some of the plot turns are too convenient, but the action (and salty interaction between characters) is worth the ride. I couldn’t stop reading from one chapter to the next, and the narrative never grows stale. It’s also fun to go back to that time and place when the west was on fire. This is one of the season’s best releases. For two decades, Burke has thrilled a wide audience (including Bill Clinton) with her series of novels set around journalist Irene Kelly. Over the years, fans have enjoyed her blossoming romance with detective Frank Harriman, but in Case Closed—the last of six ebook collections pairing Burke’s new short fiction with stories from her anthology, Eighteen—we meet Harriman as a bumbling rookie. In this tale, he responds to a missing persons call, all the time wondering why the other cops are treating it with such cynicism. And it only gets stranger from there. Burke’s skill for dialogue and wit shine through. The interaction between Harriman and the old lady is delightful. There is a glaring plot hole in the big reveal (I won’t spill it, but it’s safe to say even the laziest, most cynical cop would have thought to check there), but it doesn’t spoil the enjoyment of the story, nor the others in the collection. It’s a wonderful introduction to Burke’s underworld. Incorporating mystery, horror and sci-fi, this eclectic anthology has something for everyone. 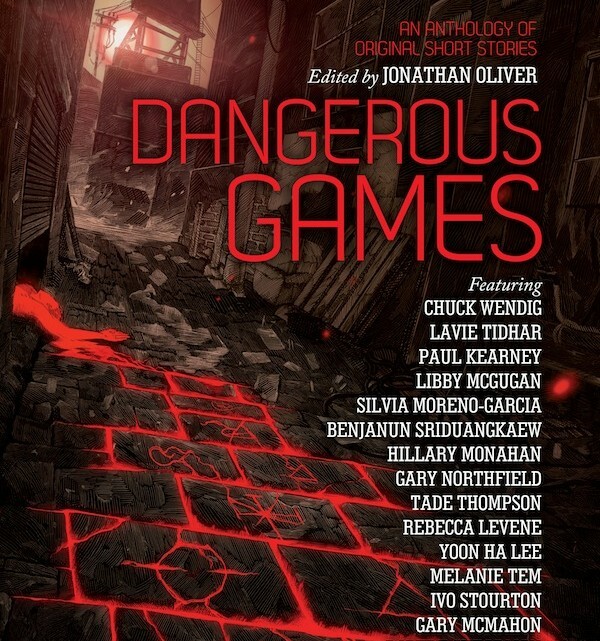 Leading off with heavyweight Chuck Wendig and his dark tale “Big Man,” Dangerous Games plays on the theme of, well, games of course, but also chance, circumstance and, by extension, chaos theory (sort of). Wendig sets the tone with a dark yarn about road rage—a game we’ve played at some time, and it has no winners. Other standouts include offerings from Silvia Moreno-Garcia, Libby McGugan and Gary McMahon. Stories take us to the twisted future and the tortured past, but regardless of setting, each tale gnaws at the insatiable itch we have to roll the dice—and suffer the consequences.